Despite being located in the state of Arizona, the Grand Canyon is also a popular attraction for visitors to Las Vegas and is situated approximately 250 miles or 400km from the Las Vegas Strip. One of the Seven Natural Wonders of the World, the Grand Canyon is a UNESCO World Heritage Site and is a once in a lifetime experience. An overwhelming sight, nothing can prepare visitors for the sheer magnitude or beauty of this amazing attraction. From the rim to the Colorado River below, the Grand Canyon is more than one mile (1610m) deep and features an elevation change of almost 7,000 ft (2130m) from the shores of Lake Mead to Point Imperial. Carved over millions of years by the flow of the Colorado River, the Canyon walls demonstrate spotted rock layers that are testament to more than two billion years of geological history. Founded as a National Monument by President Theodore Roosevelt in 1908, the Grand Canyon was deemed a National Park in 1919 and features more than 1.2 million acres (490,000 ha), receiving an average of over 4.3 million visitors each year. 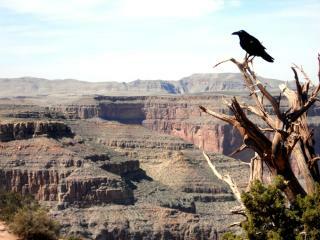 Just a little smaller than the whole state of Delaware, the Grand Canyon National Park features the popular South Rim, the more remote North and East Rim and the West Rim, the most easily accessible from Las Vegas. 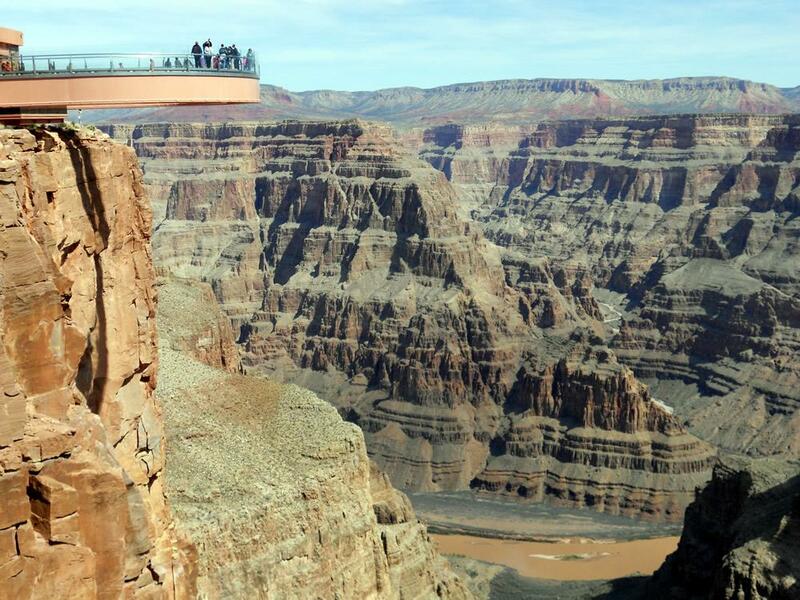 The Grand Canyon West Rim is located within the borders of the Hualapai Indian Reservation and features a number of visitor amenities including a gift shop and the popular 4,770 ft (1,450 m) horseshoe-shaped transparent cantilever bridge known as the SkyWalk. Offering visitors the chance to step out over the Grand Canyon, the SkyWalk offers a unique perspective on this popular attraction. Helicopter and bus tours are also available from Las Vegas taking anywhere from a couple of hours to a full day as well as options that allow you to take a boat down the Colorado River.